Are you looking for information on the company Premier Wood LLC located in Ukraine who sells Wood Pellet? 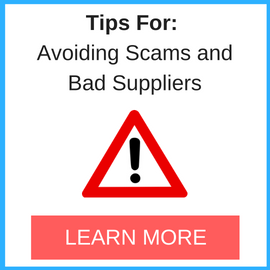 If you’re planning to buy from this company, please be careful of scams. Read below to read one buyer’s experience with this company. Also you will find related search links to explore more about Premier Wood LLC on Supplier Blacklist and across the web. I wrote an email to the company that I am interested in buying pellets. After an email conversation with Pania Rudenko, Alena decided to buy the goods. For this purpose, I received a proforma invoice which I paid for in the middle of the second half was to be paid after receiving the goods. After two weeks of waiting, I started to ask for information about the delivery and status of my order and then the problems started. I was not able to answer me when there will be a delivery that I have to wait. Nobody is replying to emails since then. I warn everyone against this company, I do not recommend it to anyone. Need More Info on Premier Wood LLC? If you need more information, you can click the below links to search for more submissions about Premier Wood LLC on Supplier Blacklist as well as go to the search results page on Google for more reviews online about this company. 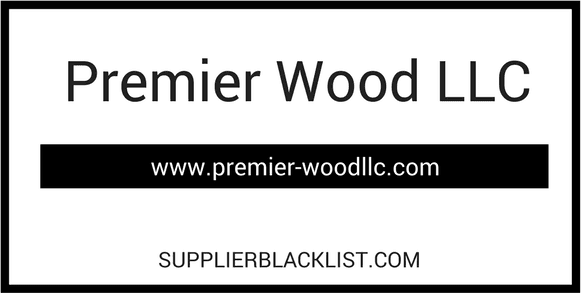 Perform a Supplier Blacklist search for more reviews on Premier Wood LLC. Search Google for Premier Wood LLC Reviews. I am not a competitor, I am a person cheated by your company. 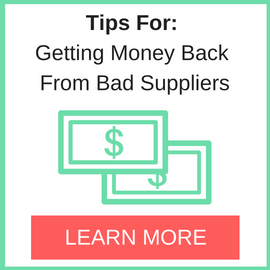 I paid half the amount of the order and did not send any information when the goods were delivered, I warned that I would put you on the black list but you did not do anything about it. It was only when I put you there that you reminded me of demanding removal from it and threatening me and my company. I have an entire conversation for those interested. I offered to remove from the black list after giving money, they ordered to remove and they did not want to pay back the money. To this day I have not received a refund of the money paid. It’s that they write on the site that they pay money back to one big lie. by finding out the truth, you don’t know if the person give out the complain has been paid to do so or he is a competitor, Don’t just take All Companies name without knowing. This very stupid of you? ?, I never Know people can do this. Who is Pania, Secondly can I have the contract we send to you? ?